Thread Waggle Quilting: Joyce's Hoffman Beauty! I used to be in a bee that meet in Henderson, NC. It was a long drive for me to get there, but the ladies in the bee were worth the drive! Joyce is one of the ladies that I meet while I was a member. 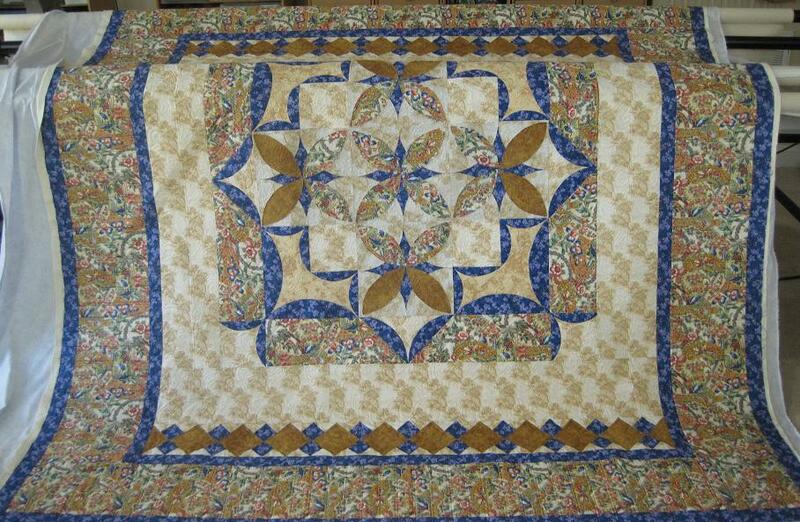 She is an extremely talented quilter. 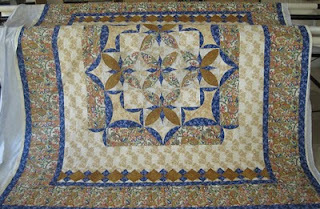 Joyce saw this quilt in a magazine and feel in love. 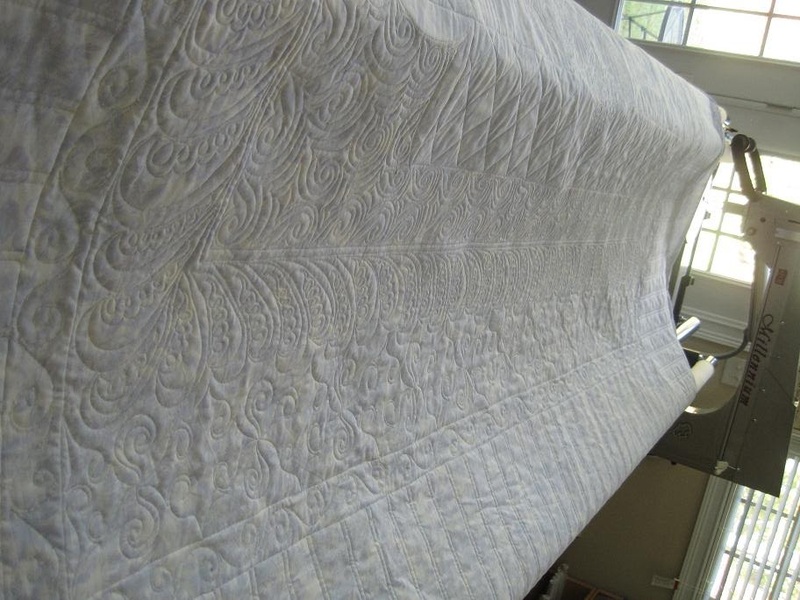 The Hoffman fabric is stunning and the pattern is unique and eye catching. The pattern has the piecer use A LOT of fusible. Think multiple layers of fusible! 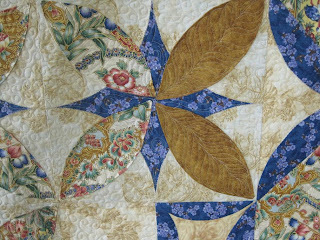 The football shaped pieces are basted to the top, but are actually attached during the quilting, at times through several layers of fusible. All the dense background fill was done through fusible. 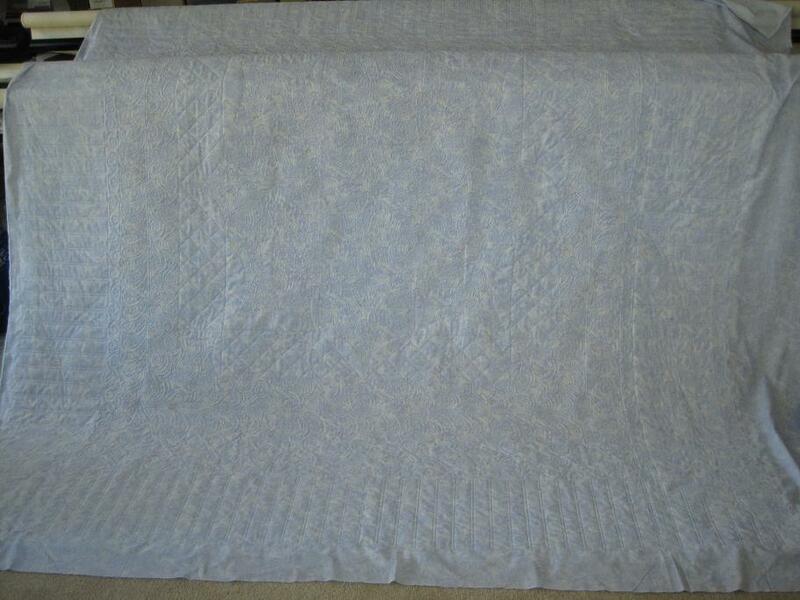 I was nervous quilting it because any mistake and the holes would remain. 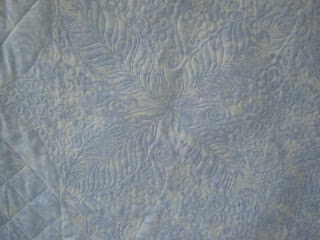 Luckily, I got through the sections with the fusible without my thread even breaking. 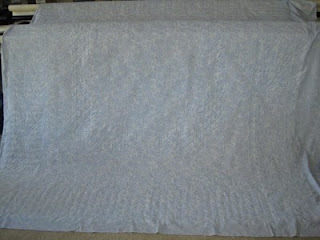 Always happy when I take off a quilt and turn it over, but oh, my do I wish they all looked as great as this one. 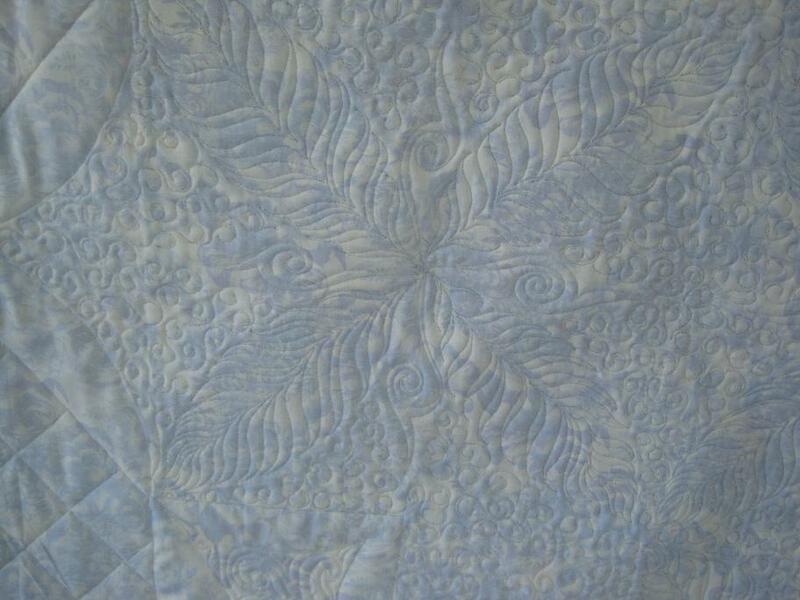 Now I am in love with this quilt too!